“Kid, I just came back from Brazil and I am back to my mission which is to contribute to spread Gracie Jiu-Jitsu and its’ philosophy to everyone I can reach. On my first week back in the US I taught officers from the Sugar Land Police Department and From the Regional Swat Team and on the weekend I visited the LX Jiu-Jitsu School of Mission, TX for seminar and promotions. 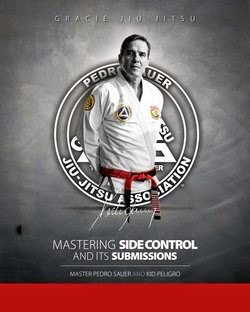 I would like to give be a shout to Sal Trevino and students for their great performance on the seminar. For more info on the Mission, TX school call Sal at (956) 878-4811. Next, I am going to teach a Women’s Self Defense Course in Sugar Land, TX on Saturday February 4th and in the second half of February I will to be teaching seminars in both New York and Philadelphia area . 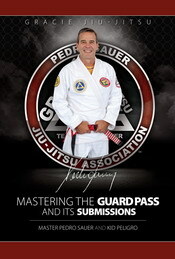 For more info about Professor Leonardo Xavier and the LX Jiu-Jitsu Association go www.lxbjj.com. Women's Self Defense Course on Saturday February 4th in Sugar Land, TX! 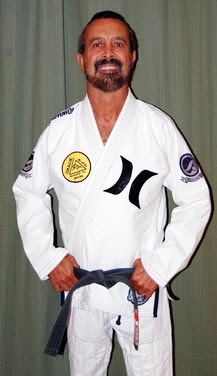 Professor Leonardo Xavier and LX Jiu-Jitsu & Self Defense will offer a WOMEN'S ONLY Self Defense Course. The first session will be held on Saturday, February 4th from 2:30 to 5pm. The purpose of this 3-part course is to give women an understanding of the self defense aspects of Gracie Jiu-Jitsu, and to increase individual awareness about protection against violent crime. This comprehensive, in-depth course will be a great benefit to all women who are interested in learning to protect themselves! Session 1 will be held on Saturday, February 4th from 2:30 - 5pm. Register with a group of 5 or more friends and receive 10% off individual price, or 10 or more friends and receive 20% off the individual price! Participants who finish all three sessions will receive a certificate of completion!